A possible new opportunity for treatment of advanced, neuroendocrine forms of prostate cancer? The question it raises is whether, if the drug used in this trial (a drug known as lutetium-177 dotatate or [177Lu]dotatate) is as effective as it seems to have been in the treatment of advanced midgut neuroendocrine cancers, there is reason to at least hope that it might exhibit a high level of efficacy in the treatment of advanced forms of neuroendocrine prostate cancer too — or at least that some other formulation of lutetium-177 delivery system (e.g., 177Lu PMSA conjugates) might have similar level of efficacy. 10.8 percent in the control group. 3 percent in the control group (P<0.001). Overall survival data from this trial are not yet available, and will require further patient follow-up, but these results are already impressive for the roughly 20 percent of the patients in this trial who did respond well to this new form of treatment. It seems likely that this trial will lead to the approval of [177Lu]dotatate as a treatment for advanced midgut neuroendocrine cancers here in the USA and potentially elsewhere as well. Such an approval would mean that it would also became available for use (off label) by medical oncologists working with nuclear medicine specialists in the treatment of other forms of neuroendocrine cancer too. The bigger question will be whether these data stimulate trials of forms of 177Lu in the treatment of neuroendocrine forms of advanced prostate cancer. I would expand the field to include all patients with proven PSMA-positive prostate cancer. You can detect PSMA positivity with 68Ga-PSMA PET/CT. 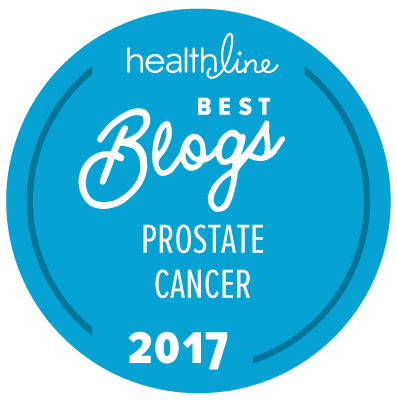 The majority of aggressive prostate cancers are PSMA positive. Ten studies with 287 patients showed a partial response (PR) for more than 30% of evaluable patients. Reductions in PSA levels of > 50% have been reported for more than 30% of the evaluable patients. Some patients had only very short responses but some had long-lasting complete responses (CRs). There were no drop outs. Two randomized trials have further evaluated the findings for PSMA-positive patients. I am doing a meta-analysis of the studies. I would be happy if another researcher would join my systematic review. Many readers will be well aware of the potential of different formulations of lutetium-177 PSMA in treatment of metastatic prostate cancer. The fact that it may have significant activity in the treatment of the much rarer forms of neuroendocrine prostate cancer is a completely new finding, however. Wondering if any of these patients included other small cell mutations that were not necessarily NE? From what I’ve been able to gather from a quick look at the clinical trial info, this newly approved drug works by binding to somatostatin receptors. These receptors are certainly present on cells of the gastro-intestinal system. But unless they are present on prostate-derived cells, off-label use for NePC would seem to be an exercise in futility. The trick, I guess, is to identify surface proteins that are present on NePC cells, and design a complex of Lu-177 that will bind to them. Looking further into this, I found a 2002 paper which addresses the question of whether prostate cells have somatostatin receptors. The answer seems to be that the majority of specimens studied do express these receptors, and that they seem to be up-regulated in prostate cancers. So the idea of off-label use of this new drug for neuroendocrine prostate cancer may not be so far-fetched. Many thanks for your additional research, Tom.